Every industry has its share of truly moronic comments, crazy ideas and brainless advice. And healthcare advertising is certainly no exception. Over time, it becomes a bit easier to identify silly comments for what they are. Practitioners have an excuse, after all, healthcare marketing isn’t what they were trained to do. Extremely stupid ideas are often infuriating. Ridiculous and foolish notions can be amusing. But in any event, the biggest benefit is to recognise a red-flag danger signal when you hear it. There’s bound to be trouble ahead. Best advice is to stop, backup and chart a sensible way to avoid the inevitable business or marketing mud puddle ahead. We haven’t captured all the foolishness, but here are some of the absurd things that should sound a loud distress signal for anyone within earshot. “Everyone is our target audience. We do it all…” Your real target audience does not want “everything.” They are individuals with highly specific needs. Trying to be everything-for-everybody invariably reaches nobody effectively. In fact, trying to be all things to all people is unproductive and an expensive waste of resources. “Why would I market? I am already busy…” “Being busy” isn’t the only criteria for success. What’s more, there are dozens of ways that marketing can improve a practice picture. For example: working smarter, not harder; improving the mix of patients and cases, building a professional and organisational reputation; effectively answering aggressive competition, and many others. “I’m happy to go-along and get-along…” Often, this is the practitioner who seems content to be the “best-kept secret in town.” Typically, the problem is a matter of risk-avoidance, AKA: head-in-sand approach. There is no risk in being plain vanilla (in the minds of colleagues.) And when one practice looks like the next, there is no marketing differentiation. There is no risk in being a commodity. Consequently, there is no distinction or success in being the same. “I know good advertising when I see it…” Effective advertising is best judged on its performance, not on its appearance. The most common problem with the “when-I-see-it” evaluation is that the viewer applies their own value system, and not the values of the target audience. “We should see overnight results, right?” Meaningful results are rarely seen “overnight.” Marketing efforts and advertising campaigns require time to gain traction when reaching the intended audience. The amount of time will vary with the circumstances. 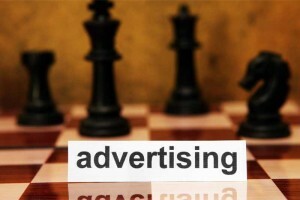 Direct response advertising, for example, may be a matter of days or weeks. Branding and brand messaging will require a much longer time line; many months, even years depending on the goals. Weird and wild comments like these are fair warning that something is wrong…or will soon go wrong. They are words of warning that the ship is turning away from the essential elements of marketing. Stay alert for the totally silly things that you might hear in business or healthcare marketing. And when they hit you squarely on the nose, take it as a serious warning signal that your best plans could go sideways.